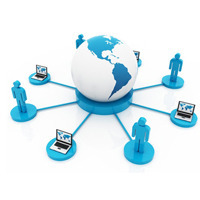 Remote staffing is beneficial for those small to midsized IT businesses who have lesser no. of resources but big-time targets. We provide you an affordable source of experienced programmers and allow you the flexibility of filling vacancies in your staff at your convenience and as per your requirements. Seeing the challenges of international travel and the cost involved in it, Prismatic provides remote augmentation of team and work as extended arm of client teams .The typical challenges of remote teams are handled by following customized approach. Picaso Web Solutions also provide well qualified, talented, experienced Remote Staff or employee who helps you to find the better way or solutions for your any kind of IT related task or also save your time with a effective result oriented output . Our Remote IT staffing is your trusted source for ‘Off-Shore Professional Staff serving small and mid-sized companies. We supply trained ‘Information Technology and other professionals that become dedicated, remotely located staff for you. While these professionals work for you in much the same way as telecommuting employees, they remain employees of ‘Paragon' . Hire one or a team of remote employees at a fraction of your current cost. Infomatic Solutions acts as a Foreign subsidiary for your company. There is no minimum requirement for hire, your company can hire one remote employee on part-time employee leasing basis or a team of multiple employees, on full-time leasing basis. Our facility act as an extension to your local office. Nextek is highly focused company providing expertise in IT Infrastructure and Enterprise Services, very closely aligned with well known software and hardware solutions. Meridian Manpower Solutions Private Limited.